Developing: as we go to press reports are emerging of a live fire incident at the Resorts World Manila entertainment precinct. Explosions and gunfire were heard early on Friday morning local time. ISIS has reportedly claimed responsibility for the attack in response to the government siege on Marawi. Security forces have resisted this characterisation, labelling the incident a robbery. More than 150 people have died since ISIS-linked militants laid siege to the southern Philippine city of Marawi last week. 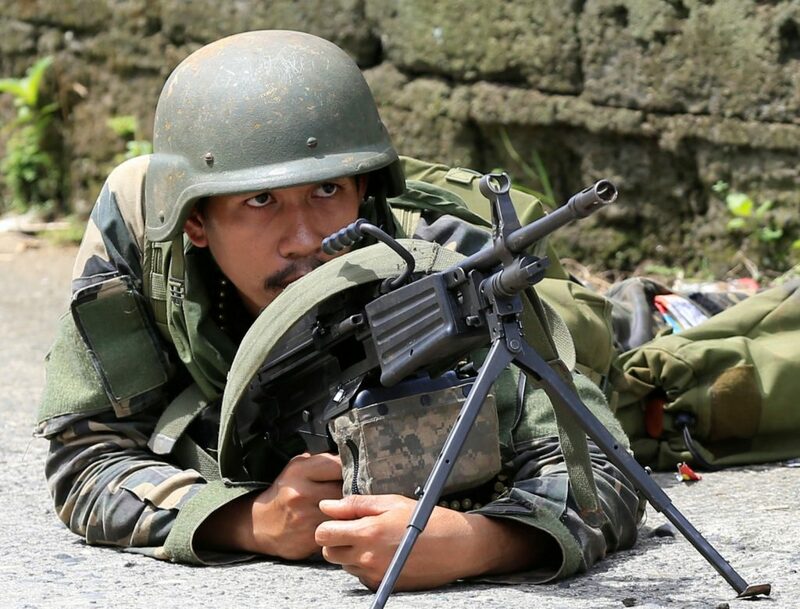 Defence Minister Delfin Lorenzana insisted his forces would “normalise” the situation by today—false hope. On the back foot in Iraq and Syria, ISIS has urged supporters to open up a new front in the Philippines in a bid to establish new wilayats (‘provinces’). The island of Mindanao in the country’s south has long served as a refuge for Islamist extremists, who travel by boat from neighbouring Indonesia or Malaysia, skirting porous border controls. Amid efforts to expedite the fight, a government airstrike killed ten of its own soldiers in a disastrous “friendly fire” incident on Thursday. All up 38 security forces have been killed over the past 11 days. Under pressure, President Duterte says he “will not talk to terrorists”, despite urging Muate militants to enter into dialogue with the government just last week. Duterte has also suspended peace talks with communist rebels also active in Mindanao after they ordered ‘more tactical offensives’ in response to his declaration of martial law.